This article is a continuation of Introduction to Data Validation specifically for Salesforce integrations. This article focuses on validating User level metrics for a single day. For team or weekly/monthly aggregations, please validate User level data first, then return to Introduction to Data Validation for further instruction. 1. Identify a distinct user with inconsistent data on a distinct date. 2. Open the left hand navigation and click Administration > Data > Integrations. 3. 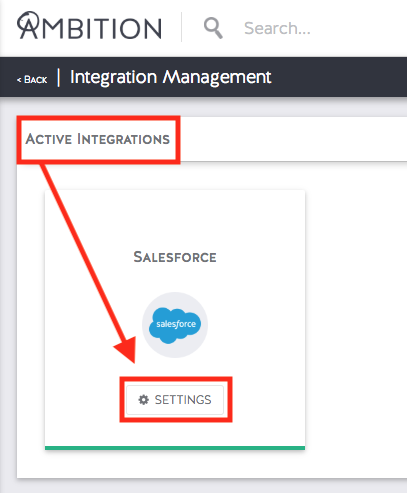 Click the Settings button to enter the Salesforce Integration. 4. Click on the Data Explorer tab. 5. Within the Data Explorer tab, click on 4. 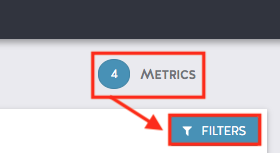 Metrics in the top pipeline selector. 6. Click on the blue Filters button. 7. Select the relevant User and Metric that are reporting more data. You will see the filtered User's data listed by day. 8. Click Explore on the appropriate row, and select Raw Records. 9. Here you will be able to see the individual records we received contributing to the inflated Metric total. Compare the record(s) shown in Ambition with the records from your source of truth report in Salesforce. Look for differences in the record(s) housed in Ambition and what you are reporting in Salesforce. Is there an error with the current metric logic? Note: Filters are Case Sensitive! Is additional filtering needed in the metric logic? Is there a commonality between the records that are inflating the total? All the same Type, Status, etc? If you are still unable to rectify the discrepancy, please contact your Customer Success Manager for assistance. In lieu of a dedicated CSM, please contact Support at gethelp@ambition.com. If you have questions or concerns about the actual contents of the records that you're viewing, you will want to reach out to the Integration's Admin Email Address. The Admin Email Address can be found under the Settings tab of each Integration. If no Admin Email Address is present, click the blue Get Help button in the lower right corner of Ambition to access your Organization's Support Resources. If your Organization has provided Support information, you will see a Company Support and Company Information tab present in the Help Center. 7. Select the relevant User and Metric that are reporting less data. If you are in the onboarding process and are not able to see any data for the date you're verifying against, please contact your Customer Success Manager regarding the need for historical data. In lieu of a dedicated CSM, please contact Support at gethelp@ambition.com. 9. Here you will be able to see the individual records we received contributing to the deflated metric total. Find a record in Salesforce that should be contributing to the User's total. Look for differences between the record(s) housed in Ambition and what you are reporting in Salesforce. Is there a commonality between the records that are not counting. All the same Type, Status, etc? 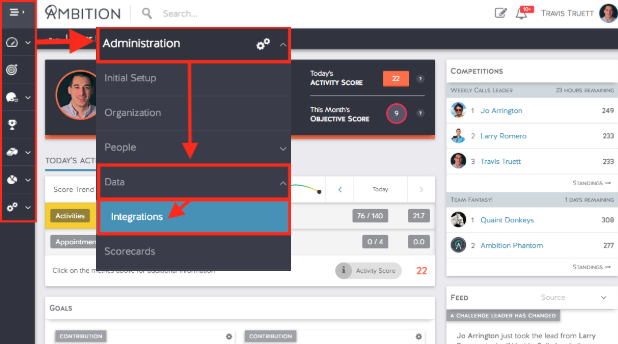 Is additional filtering being applied in Ambition that's not present in Salesforce? Ambition is excluding Type = New Business while your Salesforce Report includes New Business.